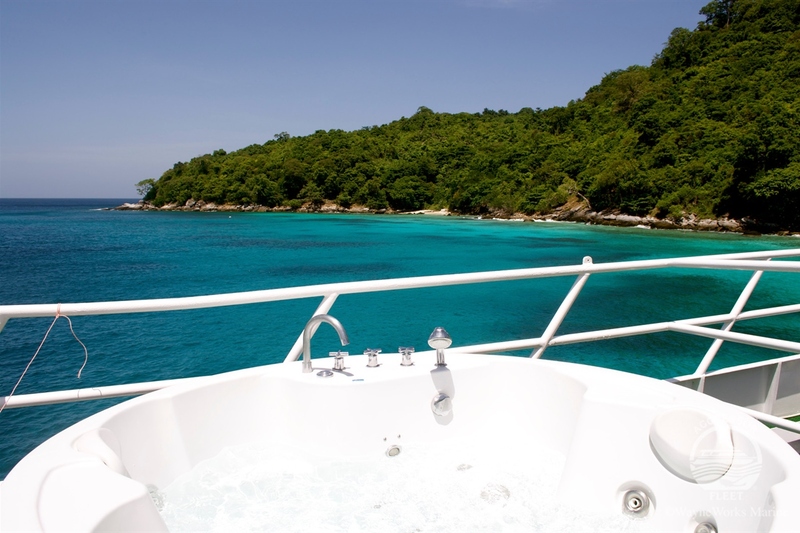 Beautiful, spacious and the ideal boat to explore the Andaman Sea. 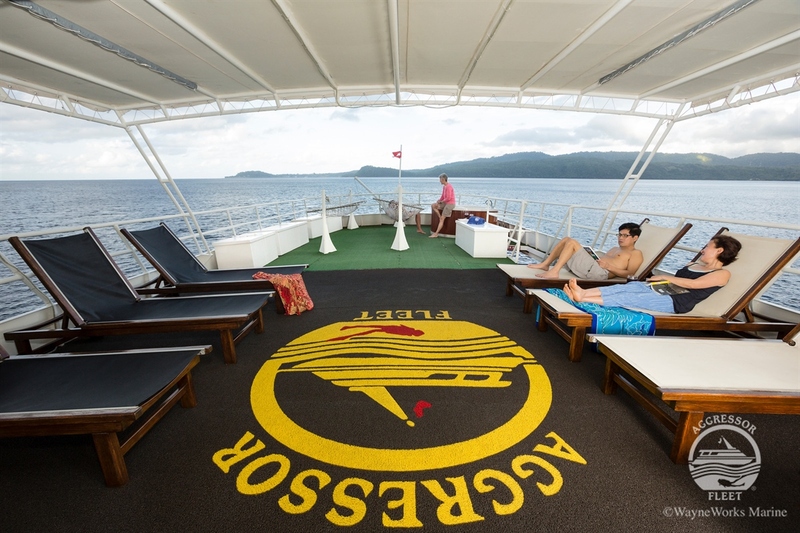 The Thailand Aggressor is a 35 metre boat built and powered for comfort, safety and stability around the Andaman waters offering 7 and 14 night itineraries departing every Saturday from Phuket. Just like aboard any Aggressor boat, the experienced captain, friendly crew, professional naturalists and dive masters will lead you through the trip whilst helping with any questions or queries you may have regarding the boat or the itinerary. 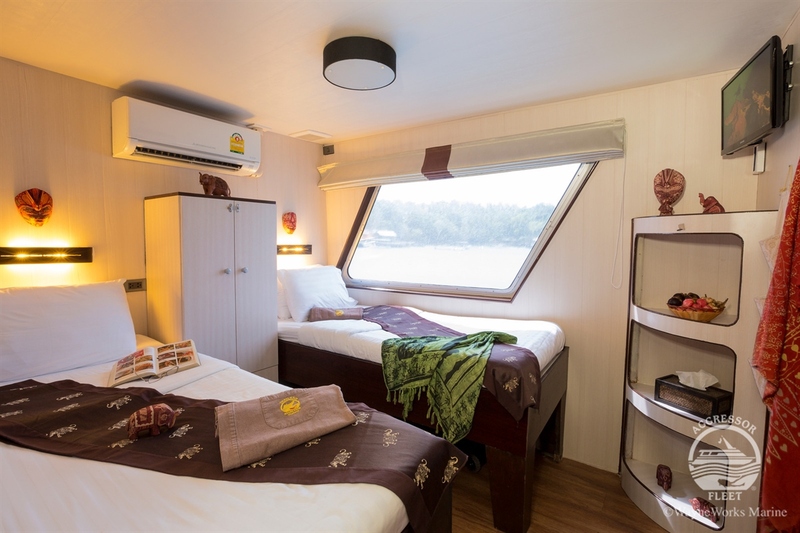 The Thailand Aggressor comfortably accommodates 16 guests in 3 master cabins with a queen bed, 2 deluxe cabins with 2 twin beds or 1 king bed and 2 deluxe twin cabins with 2 twin beds all located on the main deck. 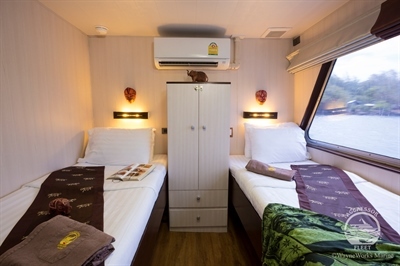 All cabins come with en-suite bathrooms, storage, TV/DVD and an air conditioning unit with individual climate controls. 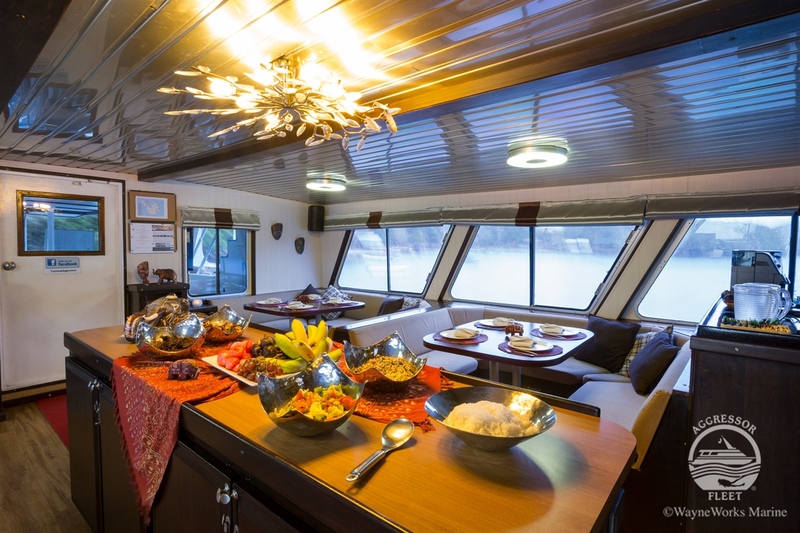 The food aboard is a variety of Thailand feasts, BBQ’s and local cuisine suiting the needs of most customers, any dietary requirements must be stated at time of booking so the chef can adhere to any guests needs. Breakfast is cooked to order, lunch is buffet style and dinner is a chef prepared meal cooked freshly everyday with local ingredients. The air conditioned salon is furnished with tables and chairs providing ample space for divers and is located next door to the spacious dining area where all meals are served. 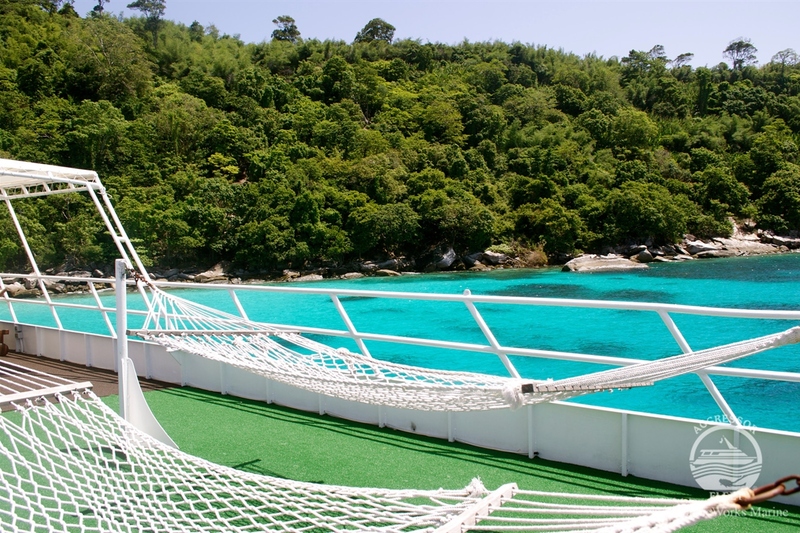 She has a large flying bridge sundeck with shaded and un-shaded areas furnished with chaise lounges, deck chairs and hammocks. The large dive deck has individual dive lockers, ample space for dive gear and a camera table with low pressure air hoses. The dive deck is a few steps down and has 2 steel ladders into the water and 2 hot fresh water showers for diver’s convenience when they board the main boat from the dive skiff. 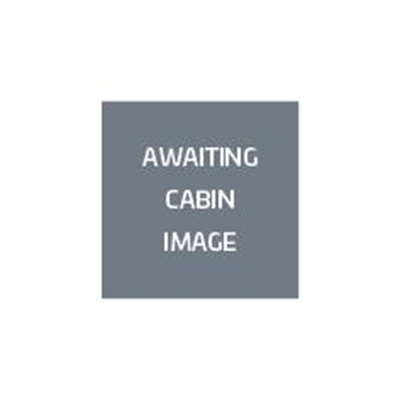 A comfortable stateroom located on the Main Deck with a large picture window or on the lower deck with a port hole, queen bed, and private head and shower/bathtub. Your stateroom is the perfect place to read a book, nap in between dives and fully recharge for the next day. This stateroom is for couples and single supplement only. 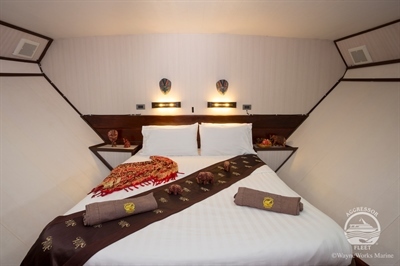 A comfortable stateroom with a large picture window, two twin beds or a king bed, and a private head and shower. Your stateroom is the perfect place to read a book, nap in between dives and fully recharge for the next day. 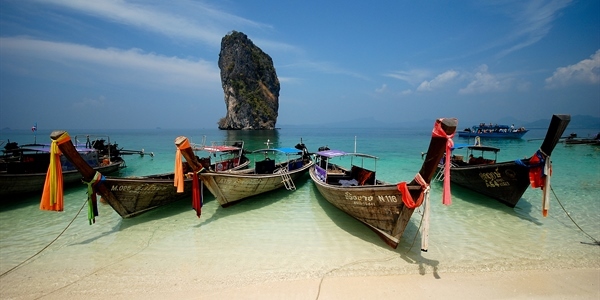 The Thailand Aggressor offers divers many treasures visiting famous sites such as the Similan Islands, Phi Phi Islands, Hin Daeng, Richelieu Rock, Koh Raja and Shark Point. 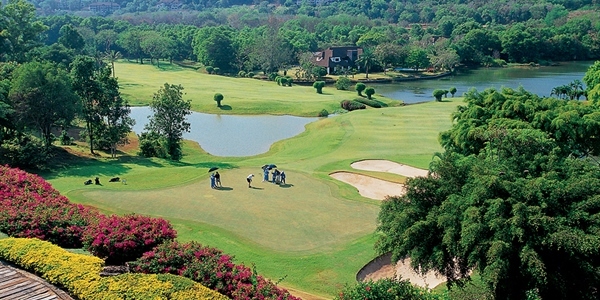 Thailand is known as “the land of smiles” as the locals are warm and friendly with Phuket being known as “the pearl of the Andaman” due to its natural beauty. 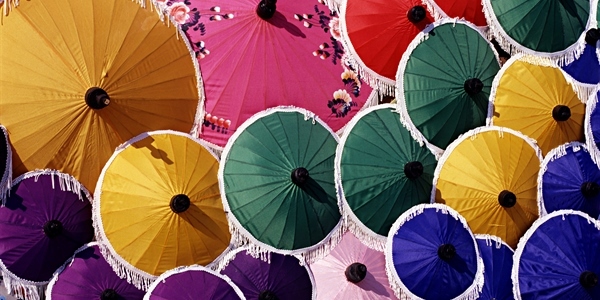 The island lies 8 degrees north of the equator allowing for a tropical climate year round. 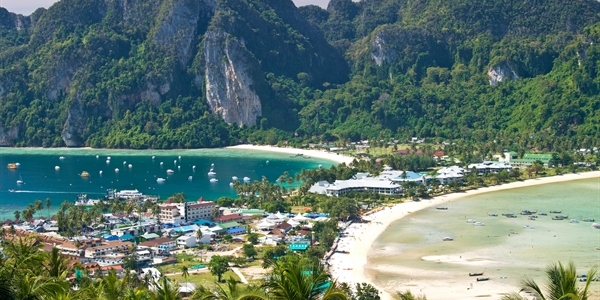 Divers will find many treasures at famous sites such as the Similan Islands, Phi Phi Islands, Hin Daeng, Richelieu Rock, Koh Raja and Shark Point. Here, the waters are warm and clear attracting large schools of tropical fish, manta rays and whale sharks, perfect for underwater photographers and marine naturalists. 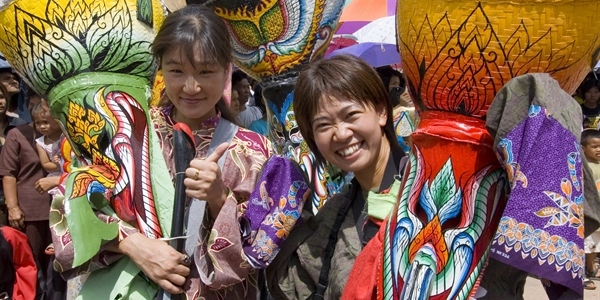 The Thailand Aggressor runs 7 night itineraries every Saturday to the North and South of the Andaman Sea alternating every week allowing for guests to do a 14 night charter to the North and the South. 48 mile radar, 2 compass’s, depth sounder with alarm, auto pilot with magnetic gyro compass, satellite weather service, GPS, chart plotter, 3 VHF radios, single side band radio, iridium satellite phone and a computer with email access. Richelieu Rock is one of the best places in the world to dive with whale sharks and is easily the best site in Thailand diving for this amazing activity. Here divers will encounter the largest fish in the ocean which are rare almost everywhere in the world. With nothing else for miles around, the whale sharks are attracted to the rock to feed on the rich plank tonic blooms that occur here. 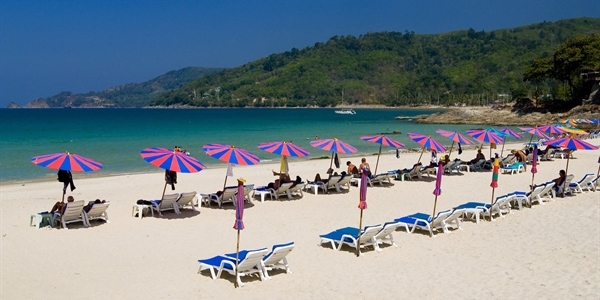 Koh Tachai is located in Tachai Island and lies about halfway between the Surin and Similan Islands and is rated as one of the best sites for Thailand scuba liveaboards as it's normally visited on the way to Richelieu Rock from the Similans. 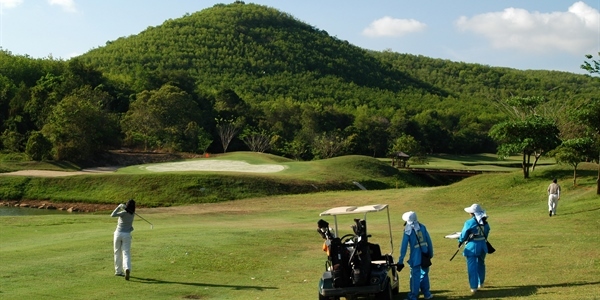 There are several dive sites around the island but the most famous is Koh Tachai Plateau which lies southeast of the island, about one kilometre offshore. The plateau is a submerged crowned reef of hard sheet corals, and scattered boulders. These boulders provide great swim-throughs and cut-through opportunities. This dive site is one of the best places in Thailand to see manta rays, especially from April to May. Koh Bon Island lies an hour or so north of the Similan Islands. It has a 33 metre wall on its south side, facing a small cove, with a stepped edge pointing west and down to over 40m. Here divers will have the opportunity to see leopard sharks, white tip sharks; soft corals the colours of turquoise, yellow and green dominate. If you listen carefully you'll hear the warning clicks of hundreds of nervous damselfish, and the coral crunching of hungry titan triggerfish. This is one of the most colourful, scenic and often exciting dive sites in the Similan Islands. The dive begins at Christmas Point by heading down a mooring to a sand-rubble bottom at a depth of about 20 metres, then heading deeper to the southwest where divers will find several giant arches and some of the best swim through in the Similans. The rock walls are highlighted by radiant soft corals and the sea fans can be very large here. Here divers will have the opportunity to see ribbon eels and fire gobies, and check the sand plains beyond the arches for white tip or leopard sharks. 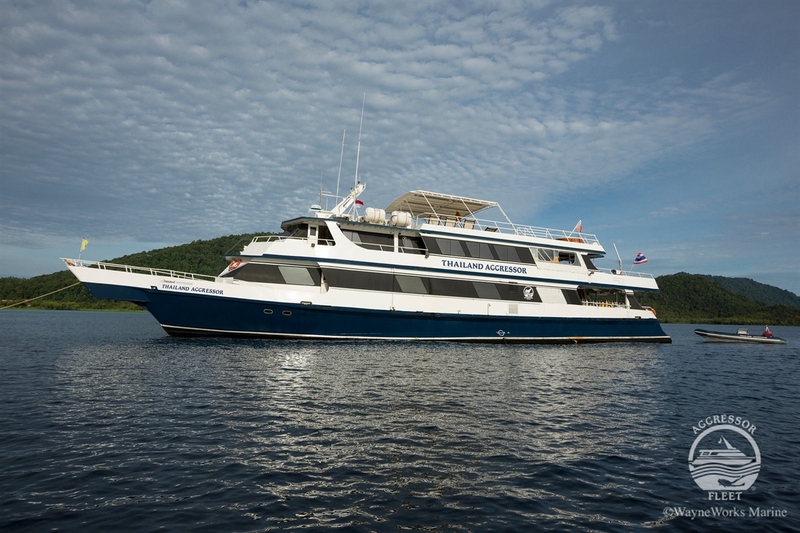 The Snapper Alley is a great place for a night dive on a liveaboard cruise. This dive site is the south bay of this most northerly Similan Island. 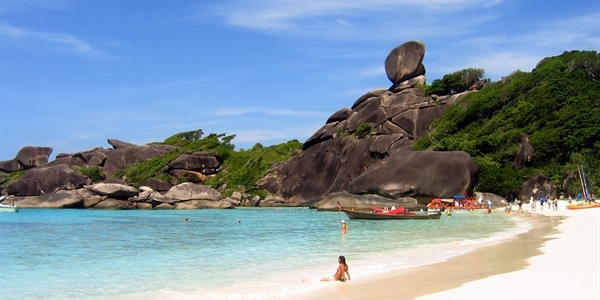 This dive site has impressive series of submerged boulders and swim through in typical Similan fashion. Surrounded by coral and marine life this is one of the better places to spot turtles. 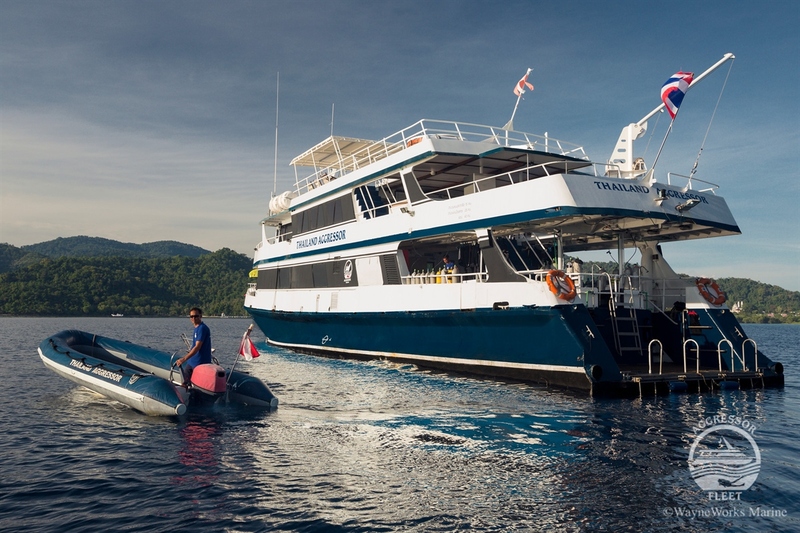 Here divers will have the opportunity to see big pelagics and eagle rays. To the northeast of the Turtle Rock there is an impressive 3 metre wide canyon to swim through. Beacon Reef is located just to the south of Beacon Beach and features a steep drop-off with a striking diversity of hard corals from 35metres almost to the surface. This site has the greatest variety of healthy hard corals in the Similan Islands, exceeding 300 species. There are countless nudibranchs, scorpion fish and devil firefish, one of the most beautiful fish in the sea. 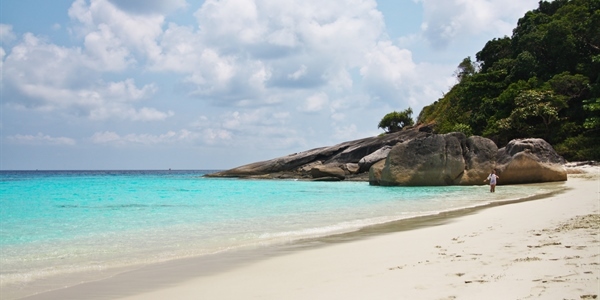 The site is named after an unusually shaped rock that juts out of the water just southwest of Koh Similan. 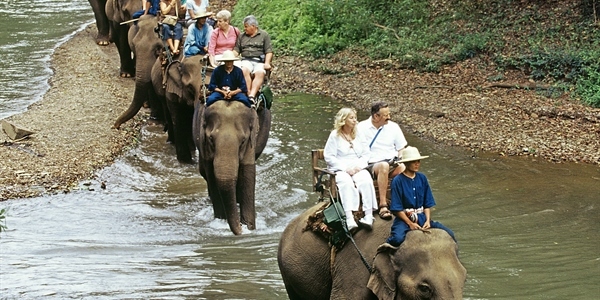 The huge boulders that form Elephant Head Rock create daring swim-through, arches, caverns, gullies and tunnels. Here divers will have the opportunity to see fronds, colonies of spiders crabs, large black egg cowries, cuttlefish and mantis shrimps as you sink further down to entrance floor. This is another deep dive following a ridge on the north side of the island that features finger table corals, feather stars and large knotted fans in its deeper sections. 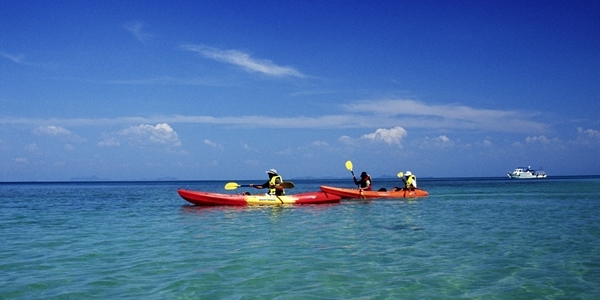 Green turtles, white tip reef sharks and leopard sharks can be found on the sand. The marine life that divers will encounter here are tuna, rainbow runners, yellowtail barracuda, blue fin trevally and yellow spot and Java rabbit fish, with lots of blue-spotted sting rays. The East of Eden is located on the southeast coast of the island; this dive site has the most incredible bommie in the Similan Islands. Just to the south of the main reef and from a depth of 21 metres up to 12 metres, the concentration of marine life is beyond compare in the Similans. The main body is covered in an overwhelming array of blue and purple soft corals, lobophyton soft corals, and red bulb tentacle anemones hosting skunk anemone fish and western clownfish. Small groups of red tail butterfly fish, checkered snapper and yellow boxfish are always present. The Bird Rock is also known as Chinese Wall. This site is one of the better places to spot giant moray eels hiding in the rock crevaces. Coral gardens can be found in 12 metres of water to the west of the wall and further on are a series of boulders, overhangs and swim through. The Shark Fin Reef will offer diver two different sceneries. 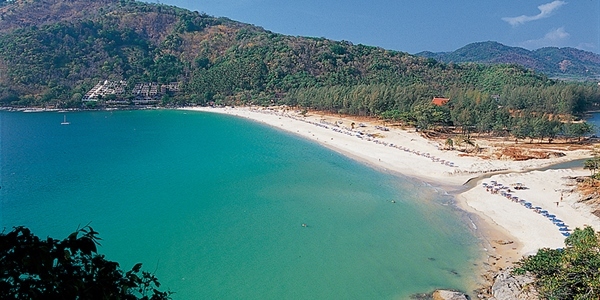 The northeast which features a sloping reef and the southeast which is a more dramatic drop-off. A series of parallel rocks resembling fallen logs are the setting for this Similan diving site. To the southeast is a large swim-through that provides an opening to the other side of this dive site. The marine life here is diverse with clown triggerfish, half-moon triggerfish and schools of batfish, palette surgeonfish, blue-faced angelfish and banner fish. It's also a good place to spot passing sharks and larger rays. Boulder city is a submerged site about one kilometre off the east coast of island number 3 and about 400 m south east of Shark Fin Reef. Due to its exposed location, divers will have the opportunity to see almost anything on this Similan dive including whale sharks and manta rays. There is very little coral growth here except for green branching cup corals and orange sea fans, but the algae growth here is substantial, meaning a prolific amount of nudibranchs, including the twin magnificent sea slug and Spanish dancers. Leopard sharks are frequently seen as well as white-tip and black-tip reef sharks. The Thai name for this spectacular rock is “Hin Muan Deaw” and is the best way to describe how beautiful this rock really is, as it directly translates to “Whole roll (of film) rock”, as one can use an entire roll film solely on this rock. Shallow coral gardens comprise huge pore and staghorn corals with small pinnacles. A big outcrop located on the southeast makes this dive site unique and attracts many photographers. Colorful soft corals, gigantic sea fans, and many species of hard corals surround this fantastic rock. West of Eden basically comprises giant granite boulders that create nice canyons, with walls covered with colorful soft corals and giant sea fans. Some areas are characterized by rubble and sand slopes. The shallows are home to many reef fishes, and have stacked granite boulders covered with hard corals, soft corals, gorgonians and feather stars. This area is a nice place to look for macro subjects like nudibranchs and frogfish. Keep an eye out for cleaner pipefish and many banded pipefish in small crevices, as well as long-nose hawkfish perched in black coral bushes. The rubble and sand slope are good place to search for ribbon eels, dragonets and red fire gobies. Back at the reef, moray eels are quite common, as well as turtles and schools of angelfish. 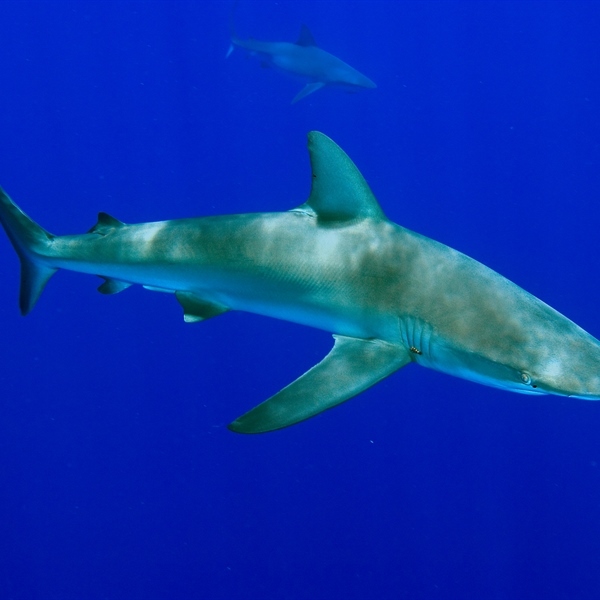 Occasionally, whitetip reef sharks cruise by. 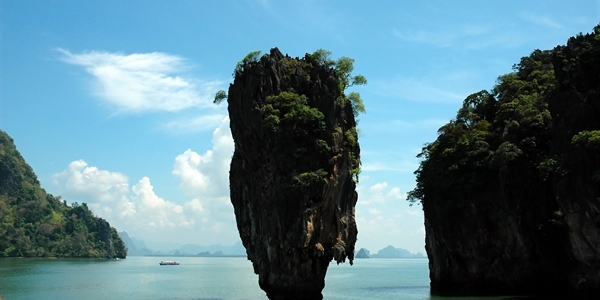 Tachai Pinnacle or Twin Peaks are a pair of submerged pinnacles located 500 m south of Koh Tachai. The southern pinnacle is bigger and is a dome shape surrounded by large boulders. To the west you will find large boulders, some of which have formed swim throughs. In the east, you will find stacks of small rock, most of which are cover by hard corals and sea whips. Colorful soft corals and sea fans dominate the northern area. The top of the pinnacle is a wide flat plain with bush and mountain coral. The smaller pinnacle comprises of a wide range of rock clusters and is home to large sea fans and corals, which are similar to the ones found in the southern pinnacle.